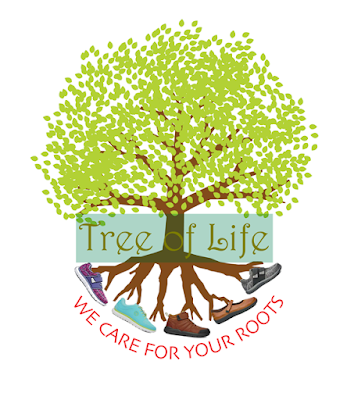 Walk Rite For Life: PLANTAR FASCIITIS IN YOUR ROOTS? PLANTAR FASCIITIS IN YOUR ROOTS? Plantar fasciitis is the inflammation, fraying and or tearing of the plantar fascia, resulting from excessive stress, and tension on the planter tendon. The Plantar Fascia is a thick fibrous band of tissue that originates from the heel and fans across the bottom of the foot in a V-shape. It maintains the shape of the arch of your foot. Activities such as carrying heavy loads, walking and running up and down hills, standing for long periods of time or athletic activities without PROPER FOOTGEAR can create plantar fascia strain. FOOTWEAR such as WORN OUT, UNSTABLE, INCORRECTLY FITTED OR INAPPROPRIATE SHOES FOR THE ACTIVITY can excessively strain the plantar fascia. Also, aging, significant weight gain and overly worn shoes can put one at risk for developing Plantar Fasciitis. "Check your shoes – if they are out of alignment so is your plantar fascia. We at Walk Rite help you chose shoes that correctly align your feet." See a Pedorthist for proper footwear and preferably custom orthotics. Pedorthist are uniquely trained and skilled for the most complete application of proper footwear and custom orthotics. Pedorthists understand how proper inserts; shoes and maintenance can resolve Plantar Fasciitis. FIX WHAT CAUSED THE PROBLEM.